Carole Randolph Jurkash is an experienced General Counsel and business leader, with a track record of reducing enterprise risk and legal costs. 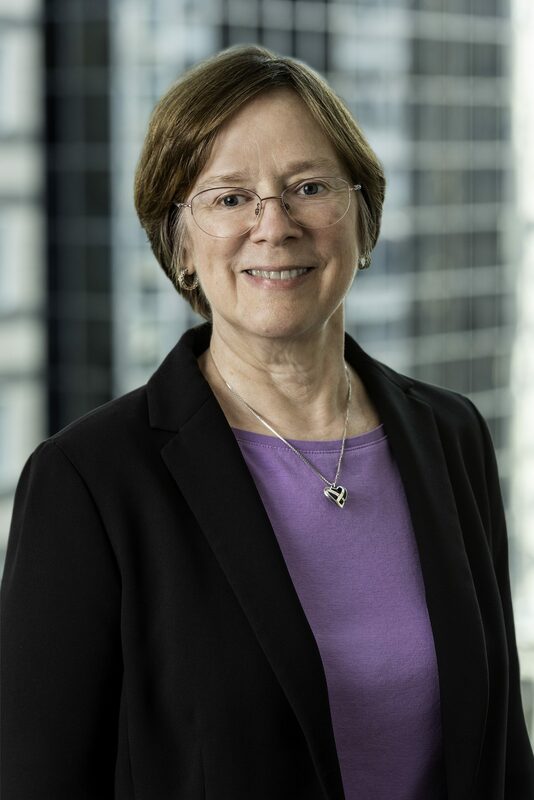 Carole began her career at Latham & Watkins, and subsequently moved into in-house counsel roles of increasing responsibility with JLL, Grubb & Ellis, Oak Brook Bank and most recently as Executive Vice President, General Counsel and Secretary of DTZ Americas, Inc. [now part of Cushman & Wakefield]. Carole established the in-house Legal function at DTZ Americas, Inc. and served on the company’s 7-member Executive Management Committee. Carole excels at helping middle market businesses work through complex legal and business problems and pulling together multi-discipline teams to implement practical, cost effective solutions. Carole has extensive experience counseling middle market companies in the areas of commercial transactions, commercial loans, real estate transactions, professional services agreements, contracts, corporate law, corporate governance, corporate finance, employment, Law Department establishment and management, litigation management, professional licensing, compliance, enterprise risk management and diversity and inclusion. Reduced enterprise risk and streamlined contracting process for professional services company’s domestic and international operations by establishing template for most frequently used commercial agreements, creating contract terms guidelines and risk evaluation matrix, empowering non-lawyer sales/client service personnel to assume larger role in contract drafting and negotiation. Led negotiations for service provider’s first client services agreement for “end-to-end” integrated commercial real estate, construction project management and facilities management services worth $30 million over 5 years, from initial RFP review/response through final contract negotiation. Revamped, as key task force participant, bank’s commercial loan documentation, closing and booking procedures, resulting in faster turnaround, improved quality and more efficient loan closing and booking process. Key participant in professional service company’s multi-disciplinary task force defining construction project management services offering, including services offered, personnel structure and training, pricing model, service delivery, marketing and standard contract terms. Authored construction project management services contract template. Led commercial real estate services company’s response to real estate licensing investigations in 7 jurisdictions, resulting in no charges and one minor penalty. Drafted/reviewed/negotiated loan agreements and collateral agreements on behalf of lenders and borrowers for commercial loan transactions for local and nationally syndicated credits, including mortgage loans, construction loans, secured and unsecured lines of credit, letters of credit, loan participations, co-lending and leasing transactions. Elmspring Accelerator – Mentor to real estate technology startup companies. Project REAP – Member of Chicago Fall 2016 Planning Committee, Instructor – “Real Estate Law”. Project REAP is a national diversity program that seeks to increase the diversity of the management and executive talent pipeline by introducing mid-career minority and women professionals to commercial real estate as a profession. Masters Conference – Panel Member, “Alternative Uses of Corporate Technology & Analytics”, May 23, 2016. The Masters Conference is a law and technology conference bringing legal and technology professionals together to discuss current issues in the use of technology in the practice of law.